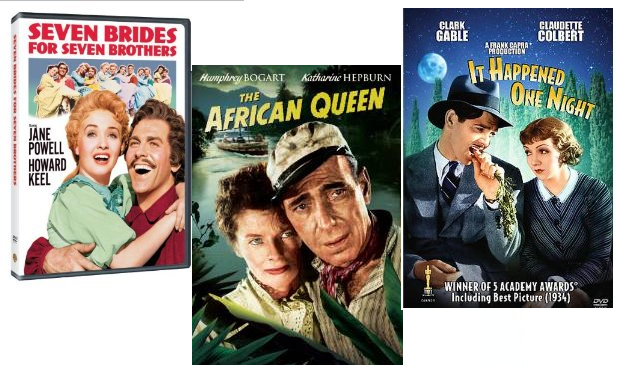 The African Queen is one of my all-time favorite movies--off to read Tony's review! I didn't know that Ruthi! Awesome! It really is a fabulous movie. I can always get my husband to watch the older movies. Some of his favorites are the ones with John Wayne and Maureen O'Hara. The Quiet Man and McClintock are two that come to mind. Maybe they aren't technically Romantic movies but they sure have romance in them. I would definitely consider The Quiet Man a romance! I don't remember McClintock, although I am sure I have seen it. I would be willing to bet I would think it was a romance too. I also noted that they were all older movies, which makes me wonder if that is the real key. Love this topic. It's fascinating to hear from the men about romantic movies they find appealing. And now I'm off to visit those reviews. Thanks! Fascinating is a good word to use here Diana. I found it quite fascinating myself. I appreciate the men writing the reviews and sharing a different perspective. Well, burst my bubble - I didn't know men were interested in romantic movies - how cool! And great movies no less! All three of these are fabulous movies. Now I have to see what the men say about them, too.